Offices need to hold a center of attention — an object, not necessarily a person. It doesn’t matter if this object features words, images or colors. As long as it can grab attention from people walking by, that’s all it needs to succeed. 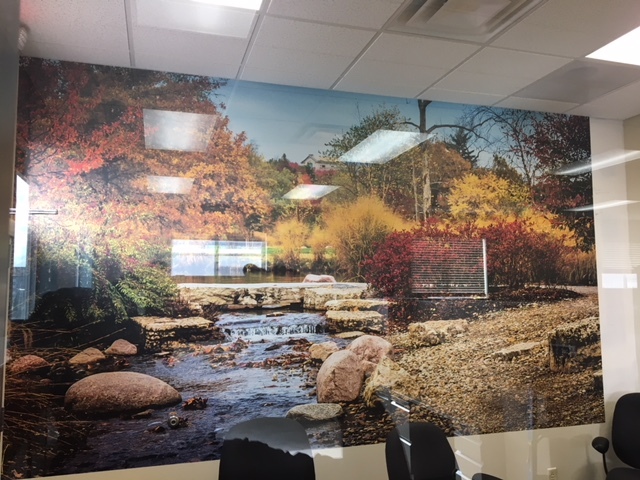 So why not partner with SpeedPro Imaging St. Louis South to create a custom wall mural for your office? 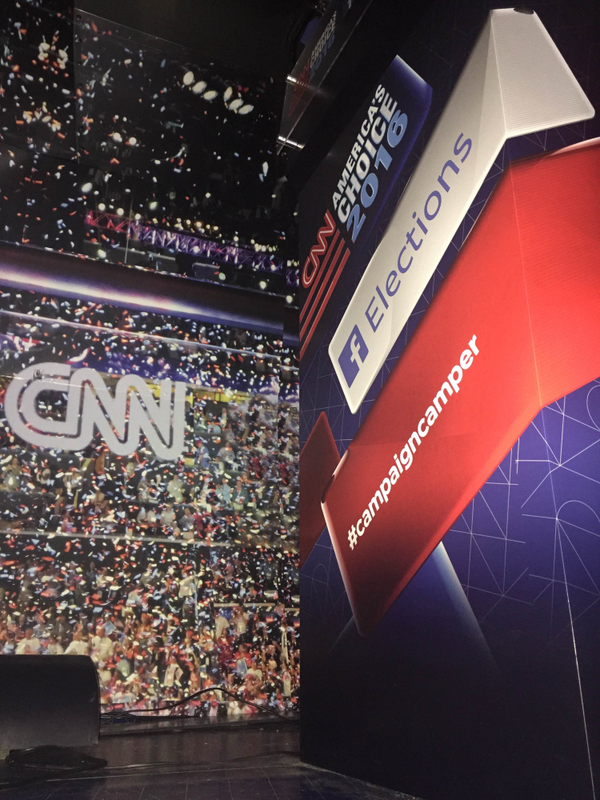 Our large format wall murals can create an exciting atmosphere by binding together all the energy and branded signage that exists in a room. If your business or organization is located in the counties of St. Louis, St. Charles, or Jefferson, or even in the East St. Louis area, reach out today! 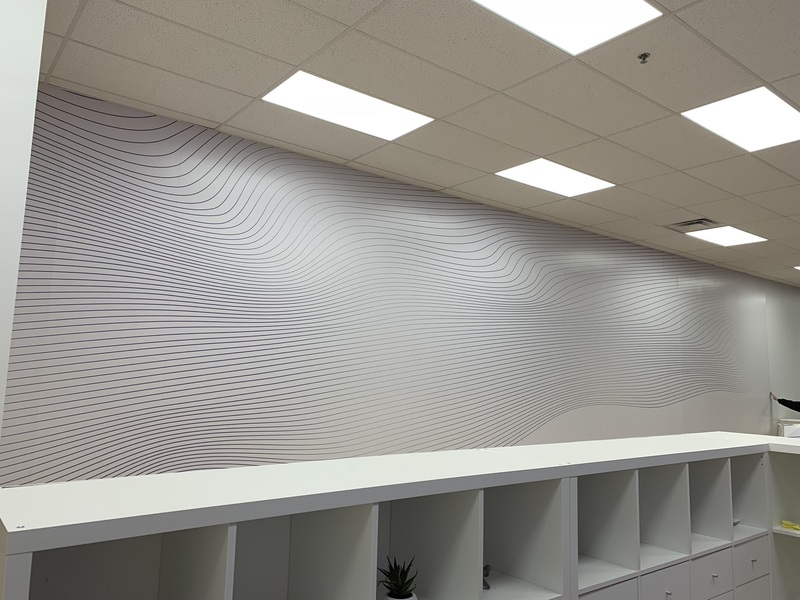 We’d love to get started on an office design project for your business. 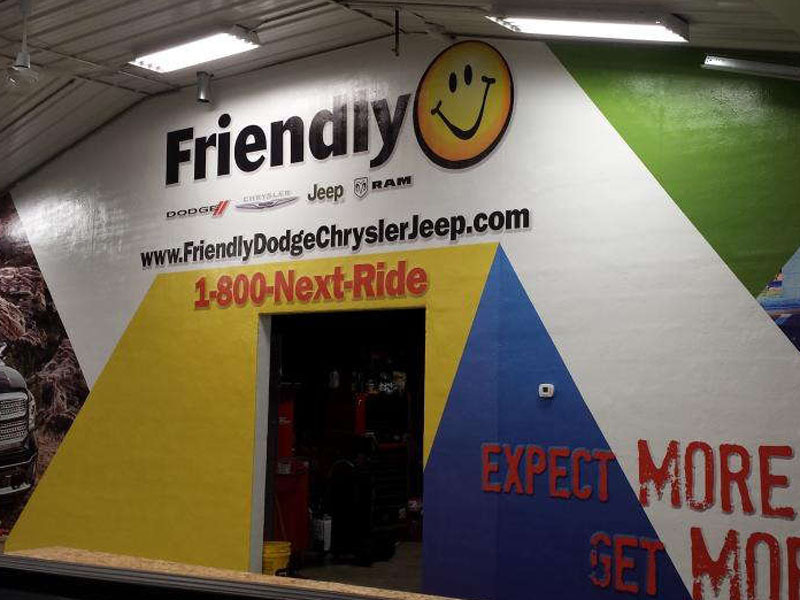 SpeedPro has a team that’s able to bring your mural to life by inspiring an experience for every guest. 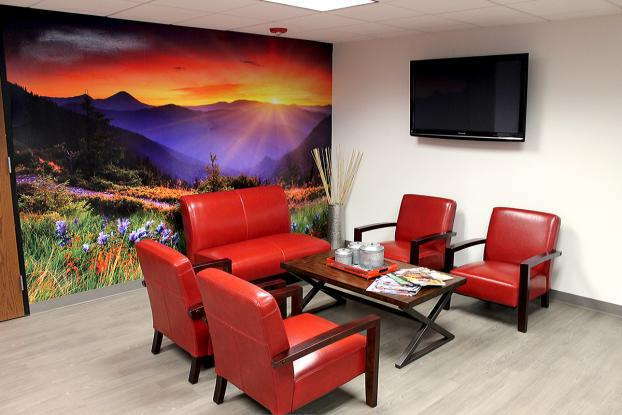 One decision we’ll make with you during our consultation phase is where your mural will be placed. 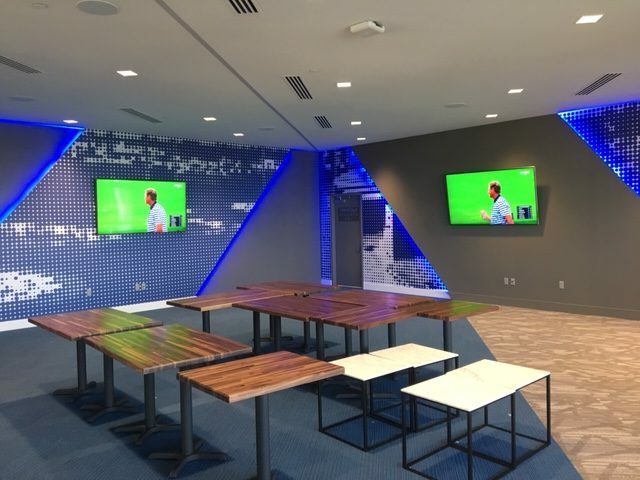 You’ll want to put it in an area that sees a lot of traffic each day, whether that’s a lobby, frequently walked hallway or conference room. A second decision is regarding who the mural will be seen by. Do you want to create an experience for your guests so that they feel welcome and appreciated? Or do you need to focus on your employees to keep them motivated and feeling like they’re producing positive effects with their work? You may notice that your customer connections are not where you’d like them to be. 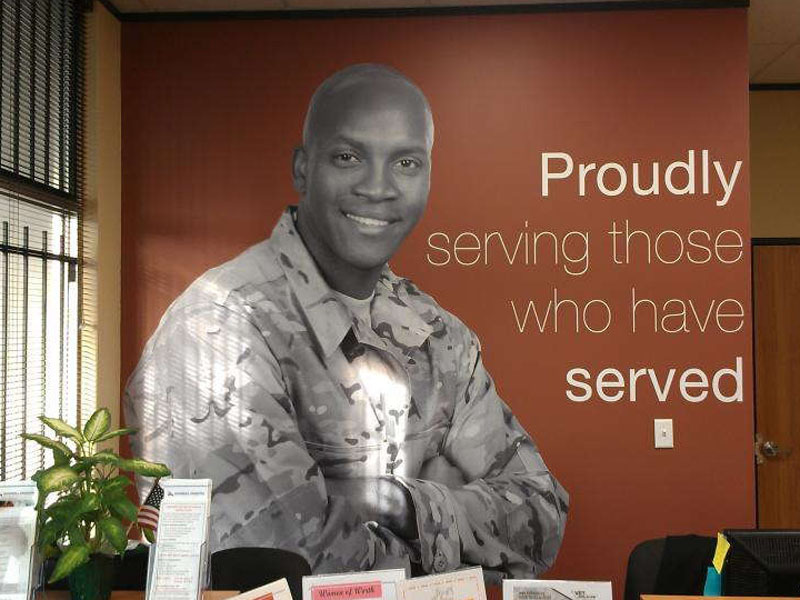 Reach out to your guests by making them feel welcome with a printed wall mural as they sit in your lobby! Having an image that makes them feel invited will ease any tension they might experience, especially if this is a first-time customer. You can also share with them elements of your business that most customers want to see or have questions about, which can spark them to present ideas or questions when they meet or interact with you. Sometimes, you might want to focus on connecting with your employees and making sure they’re in a friendly and energizing environment. 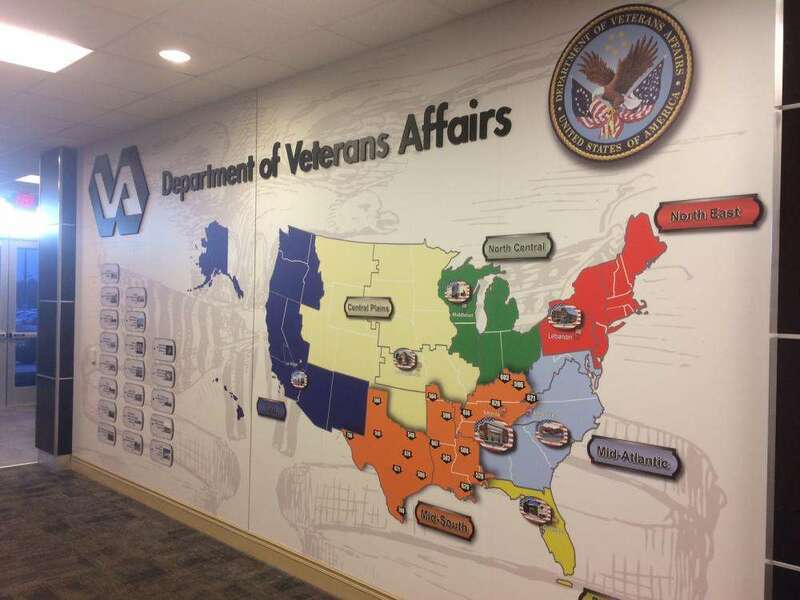 Adding a vinyl wall mural to a general conference room can help focus discussions or brainstorming sessions. 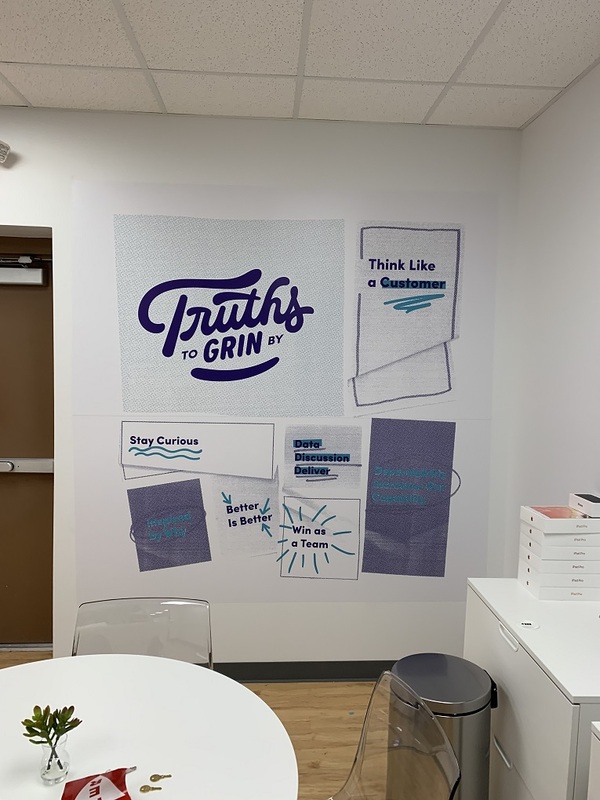 SpeedPro can also highlight your business’s mission statement or business goals and emblazon them on a vinyl mural, giving your team the focus and drive they need to get their daily work done. 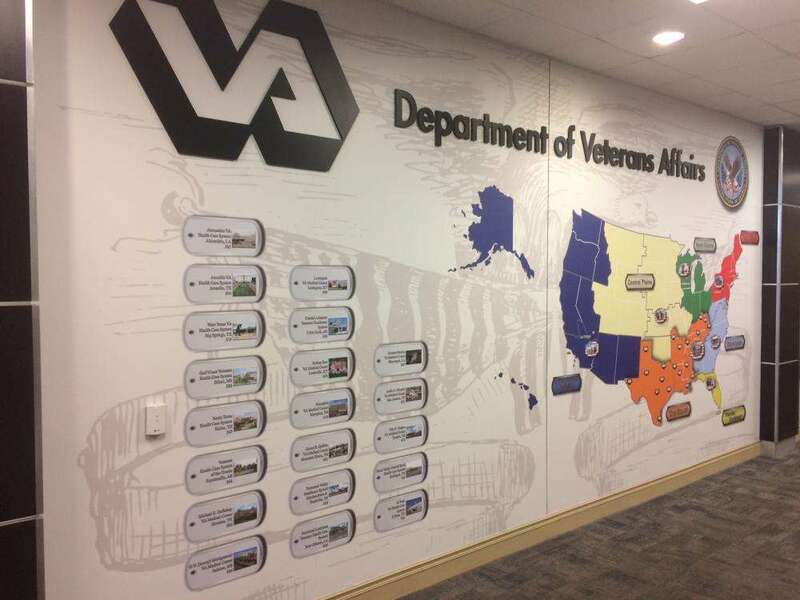 At SpeedPro, we pride ourselves on creating vinyl wall murals that are durable and impactful. We pair them with a range of adhesives that can meet your branding needs. 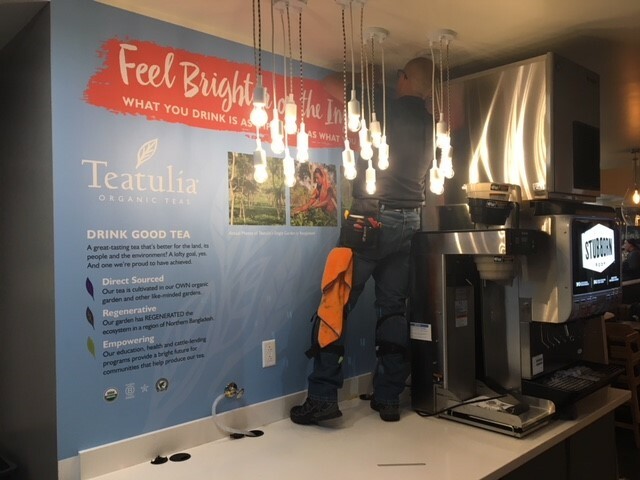 For example, if you’re looking for a visual impact that can last for a long time and keep your business feeling strong, our more intense adhesives support wall murals for years. 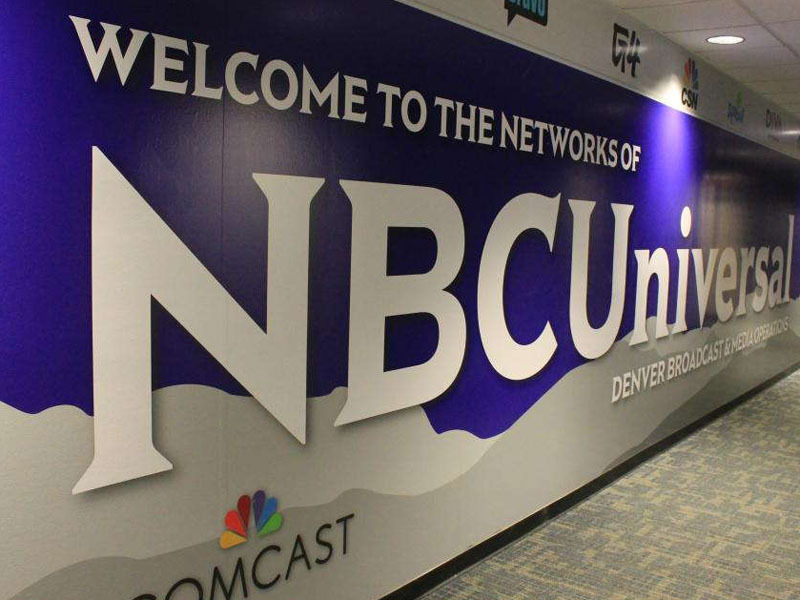 On the other hand, if your company tends to rebrand itself quite often or you know you’ll be remodeling soon, you can choose a lower-strength adhesive that will still pack a bold punch! 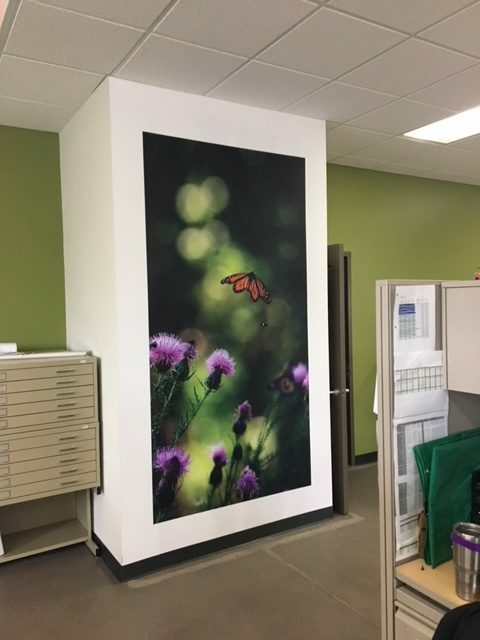 If you’re looking to add a new piece of decorative signage to your office, meet up with SpeedPro to discuss our large format wall murals. Our studio can set you up with a consultation to review all of your design and brand needs. Call us today!